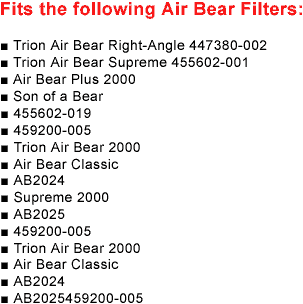 Home>Air Bear Filters > Air Bear Filters | Fits All Trion Air Bear 20x25x5"
I have been using Air Sponge Filter Company to order my filter for years and have never had any issues. Easy online ordering and payment. 3 pack came via USPS within a week. No problems. Trion Air Bear Filter WORKS!! I have been a very satisfied customer of the Air Sponge Filter Company for years. Like many things in my life, If you don't have any problems, leave it alone. The service I receive from Air Sponge has never been anything but THE BEST. This past weekend, I had my air duct's cleaned out by a professional contractor. Once the job was complete, he told me that he was very impressed with my filter and that I should keep using the Trion Air Bear, because it clearly works very well. Thanks for shipping so quickly - filter was packaged well also. 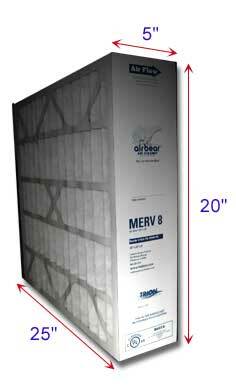 Excellent filtration and at a reasonable cost! Been buying this filter for a number of years. Filter is great and company delivers to the door. Could not ask for a better filter or service from a company. Keep up the good work. 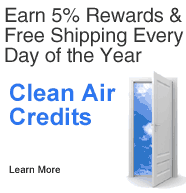 Great product, receive reminders when I need to order filters, fast delivery reasonable prices highly recommend, love doing business with them.Make shopping easy. AWESOME FILTER, love this product!! Great filter. 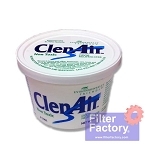 I have many allergies and this filter takes all the pollen and air borne pollutants out of the air. My house smells fresh and clean.